In my opinion, the best thing about a salad is the dressing. It can completely turn a salad from being average to fantastic. In most salad dressings, there is an oil based component and also a pungent flavour. Usually this is in the form of fresh lemon or a variation of vinegar. There are numerous vinegars out there – white wine vinegar, balsamic vinegar, rice vinegar, apple cider vinegar, red wine vinegar, and many other kinds that are often sold at farmers markets. Not only does the dressing add to the taste of the salad, but it also gives the salad an extra dose of nutrients…if we choose our dressing carefully. Most commercial brands out there include a list of scary ingredients that do us more harm than good. If you have salad dressing in your fridge, check the ingredients as an experiment. They also have to list the ingredients on their corporate website so you can always check on there as well. One that I just looked up (which is a very common brand and product) is as follows: water, corn syrup, soybean oil, modified food starch, salt, sugar, MSG, potassium sorbate, calcium disodium edta, artificial colour, polysorbate 60 and lactic acid. Wow! Water is the only ingredient that is good for us in this list. If you drizzle this on your salad, your body will take most of its energy just trying to detoxify these ingredients. 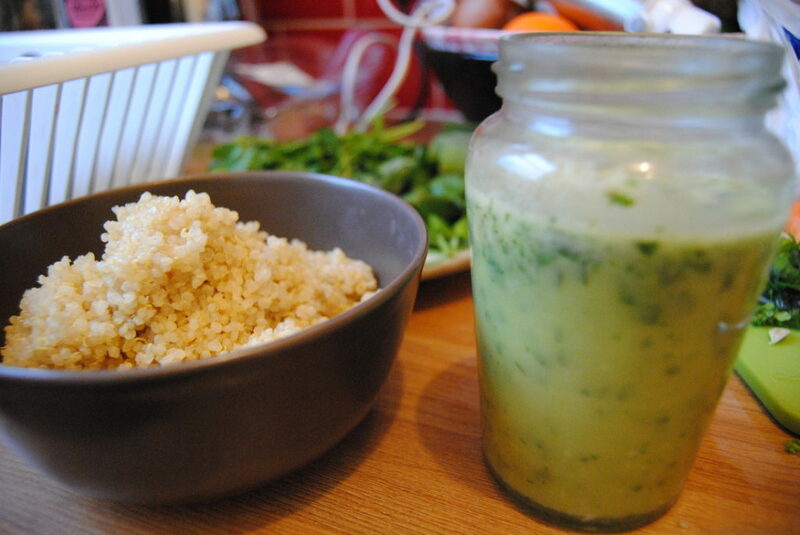 As a healthy alternative, make your own salad dressing. If you have the basic ingredients on hand, it will be quick, easy and nutritious. Mix all ingredients in a food processor and store in a container up to 2 weeks. The olive oil is a great source of healthy fats. It helps to reduce blood pressure and prevent cardiovascular diseases. The basil has anti-bacterial properties that keep us healthy and it also tastes delicious. Raw apple cider vinegar is full of enzymes and is excellent for stimulating our digestive system. Make sure to buy the vinegar that says “with mother” on it. This means that it isn’t pasteurised and still contains all of the nutritious benefits. Raw honey is a great source of natural sugar. It becomes alkaline in the digestive system, which is what we want. It doesn’t ferment in the stomach and can be used to counteract indigestion. Raw honey is the healthiest form of honey as it has the most nutritional value. It is the only unheated, pure and unprocessed honey. 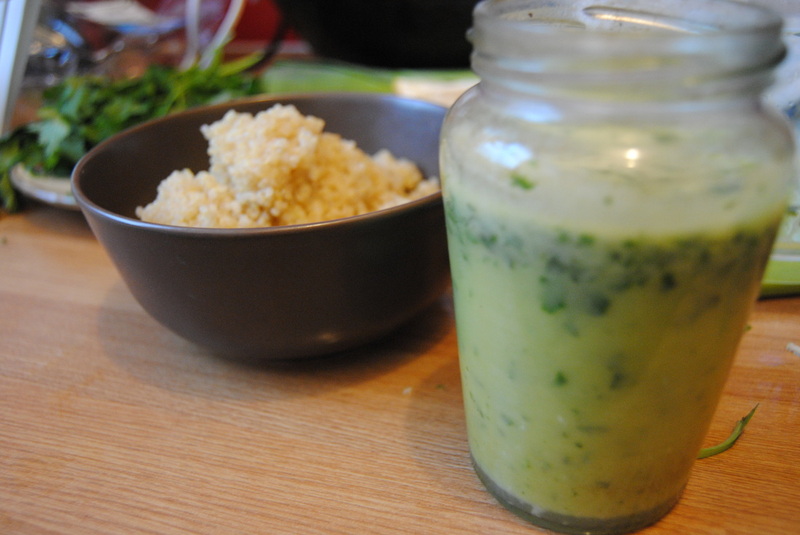 The garlic in this dressing is a natural antibiotic and it helps to boost immunity as well. Drizzle this over mixed greens or your favourite salad. Toss and enjoy!